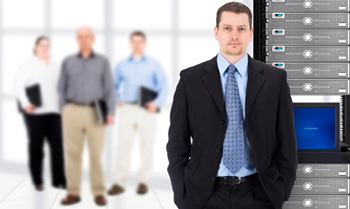 It’s difficult to know which IT services company is a good fit for your company’s needs. Here are some tips to help you make the decision. Technology can be a tough thing to manage for a business that is between 10 and 150 people. Some companies try to self-manage by using someone on their team, who has some knowledge, but is really dedicated to another job. Some use a moonlighter to work in the evenings, others try to hire that budding IT person that can do everything. Others just call an IT firm when things need fixed. None of these solutions really work over the long term. The right solution for most companies is in finding an IT services company that is specifically focused on organizations that are your size and makeup. These IT companies use a “managed services” approach to provide a team of people to give you the right resources to maintain and secure your network, fix problems when they do arise, and keep you on track with planning for the future. If you are in a position where you are looking for a way to improve your technology, look for a managed services IT provider who applies a proactive strategy to your technology management. Finding the right IT services company can be a challenge! Being proactive is a foundational part of managing IT well. Be sure that any IT services company that you are talking to has a clear focus on being proactive. Updating Microsoft patches, 3rd party vendor software like Adobe flash, anti-virus, backup, and other critical systems should be a focus of their maintenance program. In addition, reviewing logs, testing backups, and doing security reviews should show up as part of the plan. This stuff is critical to IT running smooth and being secure. To manage your network right and truly be proactive, it takes discipline and the right tools. Make sure the IT companies you are considering have checklists and reporting to let you know what they are doing. Make sure they have industry recognized software to push out updates, create alerts, and provide remote access. All too often, IT firms talk a good game about patching and maintenance, but in reality it never gets done because they are too busy putting out fires. Just like a one or two person internal IT department usually fails, so does an outsourced firm with only a couple of people. Make sure your IT Company has more than one or two people. Do a tour of their office. Do they have technical people at several levels? They should have desktop support people, prep and maintenance people, network engineers, senior level engineers, and advisory consultant level people. When you tour their office, talk to a few of the people. Ask them what they are working on. See if they articulate things clearly and in terms you understand. Do a pre-arranged test support call with them. Have them check out a simple problem for someone in your company. Make sure they don’t speak in tech jargon, but in English. Good tech companies are focused on education. The only way to stay ahead in tech is to have an education plan for their team. Does the company you are considering train their people? Do they offer training for your team? Do they take the time to explain tough technical concepts using analogies and stories to make them clearer? Information theft, hacking, and protecting your company should be a high concern. Any IT services company who knows what they are doing should bring up security, discuss things like passwords, wireless security, firewalls, and screening for viruses and malware. They should be urging you to take action to patch and prevent intrusion from bots and other automated code. You want an IT company you can partner with for a long time to come. They can be the best technical people, but if they can’t run a business, they won’t last. Take the time to evaluate their business knowledge and practices. How long have they been around? Do they have good infrastructure, good process, smart people, and growth? Do they partner or work with other organizations that you respect? There is a huge move in the IT managed services industry to use marketing glitz, awards, and media to make yourself look important. While this stuff may get attention, often the good providers are more focused on their clients, not their media ratings. It is more important to speak with a few of their clients than to watch their online video. If you have been getting by with your IT, or being reactive, a good managed services provider should challenge what you are doing now. They should bring up things you have not considered. They should make you aware of trends or concepts that you have not heard before but make sense. They might tell you a story about a security breach, or queue you in on the Rule of Three for backups. You should be challenged and informed by what they tell you. These are your technical advisors. They will be helping you chart your course. Make sure they have the knowledge and experience to set sail in the right direction. Pricing differs by offering. Some bundle in antivirus, email, and other features to build a very rich plan. Others al la carte out many features. The danger of al la carte is that you pay way more than you expect. Look for a plan that does not hold you hostage. Own your own hardware and software, not lease it by the month. Leasing it by the month makes it harder to leave. If you lease your email service from them, when you want to leave them, it is expensive and painful to move. As much as bundling hardware and software can be bad, a good plan will bundle unlimited services. Unlimited services puts you and the provider on the same page. You both are looking to reduce problems. Less problems means it costs them less to support you, and for you, your people are far more productive. Searching for outsourced IT is a big deal. We all know that technology can energize our business, or shut us down. A company with the right perspective, good values, good systems, and a focus on serving you can truly energize your company and help you reach your goals. Contact CTaccess to learn more about how we can help you find the right IT services provider for your business.